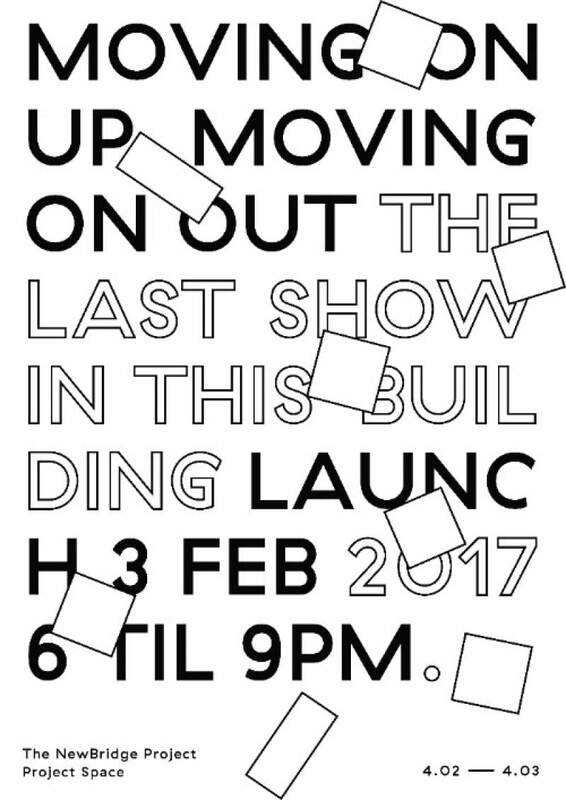 Set for a last ever show in their current building, Moving on up, Moving on out is to be a worthy farewell for The NewBridge Project’s current life within the bricks and mortar they currently call home. The month-long exhibition and programme has artists at its heart, and has been collectively shaped and devised by over 30 artist members. Before they move onto pastures new after six and a half years, this new collection of works launches on Friday 3rd February. A celebration of The NewBridge Project and the people who make it what it is, the exhibition in the project space has work by over 80 artist members, and will be constantly fluctuating, with daily changes to the curation and meaning 30 days of fresh and exciting things to see. The bookshop will host an evolving studio plan, serving as a look back into the past and peak into the future. Alongside the exhibition there will be a programme of events taking place across the building and studios throughout the month, with an exciting series to cement just what the NewBridge has achieved in its current home and what exciting things it will go on to. Moving on up, Moving on out, is at The NewBridge Project, Newcastle from Saturday 4th February until Saturday 4th March.